Don’t you love it when you find out that something that you already need to do can get easier? This is how I felt when I learned that ordering groceries online is possible now. My mind was blown once again when I learned about the new Chick-fil-A One app. I am a cheapo. I am not afraid to admit it. The problem is that I also have kind of expensive taste. Maybe that is why I am such a DIY girl. I like things to look nice, but I can’t get myself to spend the amount of money that most places charge for the things that I like. I went through a small coupon phase, but it was WAY too time consuming. Don’t get me wrong, if I get a good coupon, I WILL use it. After spending time clipping coupons that I wasn’t using, I realized that wasn’t the answer for me. I gave up trying to save money all together. I would shop at just one store and be okay with it. Then I realized how much money I was spending. I couldn’t do it. My penny pinching blood would boil when I would get to the register and the cashier would tell me how much I owed. I started looking at ads and would drive around to different stores to get the best deals on things. I was really excited when Walmart announced that they would price match competitor prices when they were advertised. I used that often. Then I moved and my life changed a lot. I no longer had all of the different stores I was accustomed to. I had to make special trips to go to those stores and that meant that I didn’t have the time to drive around to different stores and I didn’t get the newspaper with the ads that I would use to price match with. Thankfully, right about the same time I moved, I was introduced to the greatest app of all time! Walmart Savings Catcher! You guys! This app totally blows my mind! How it works, is you shop at Walmart and buy all of the things that you need. You don’t worry about what the other stores are selling these items for, you just buy what you need and you don’t waste your time driving around town all day. After you buy everything, you open up the Walmart Savings Catcher app and scan your Walmart receipt. The app checks the competitor’s printed ads for the identical products and if any of the competitors have a cheaper price listed than what Walmart sold their product for, you get the difference! Walmart seriously didn’t need to do this, but they did and it is amazing! I love that when I have used it, I have seen a few items that were cheaper at other stores and I know that I will get the difference of those items. I also really love it when there aren’t cheaper prices too because it is a nice reminder that Walmart has my back! They really do have awesome prices everyday. I have really missed having two Walmart stores within a 15 minute drive. Often times, I would go there every single day because I would realize I had forgotten something and would go grab it. It wasn’t a big deal at all. There were even days that I would go more than once. Now it is an hour drive! I have to plan out my life a little more because I can’t just drive there when I forget something. That is just another reason why I love knowing that Walmart has my back and will either have the lowest price around, or will give me the difference if another competitor has advertised a cheaper one! Seriously, Walmart Savings Catcher will change your life! 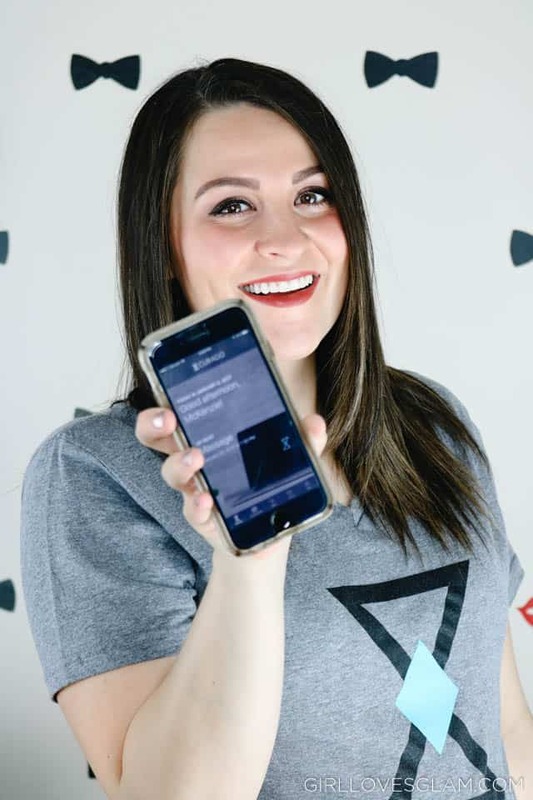 Walmart wants everyone to know about their new app and they are giving away a HUGE prize to one lucky person who shares the Savings Cater app with their friends! They are giving away a $2,000 Walmart shopping spree! All you have to do, is go HERE and enter your email address. It will give you a link that you can share with your friends and for everyone who clicks on that link and signs up to share, you will be entered in the contest! Have you tried the Walmart Savings Catcher app yet? When I moved to a new city, I decided that I was going to really strive to make healthy choices and be fit in my city. I moved from an average town to a very small community that is full of people who live and breathe outdoor sports and want to save the environment. I was a little worried about moving here because I am not your typical outdoorsy girl. I used to be a huge fan of going to the gym and getting a good, old fashioned sweat there. Now that isn’t really an option because the nearest gym is in the next town over. I have had to learn to work on my heath and fitness in other ways! One of those ways has been through my phone! Yes, my phone! I have found some really great apps to help keep me on track! My favorite one is the Walgreens app! Crazy, right? It is awesome because you can be rewarded for making healthy choices that you are probably already making day to day. I feel like it kind of motivates me to keep it up too because I love being rewarded for my hard work! 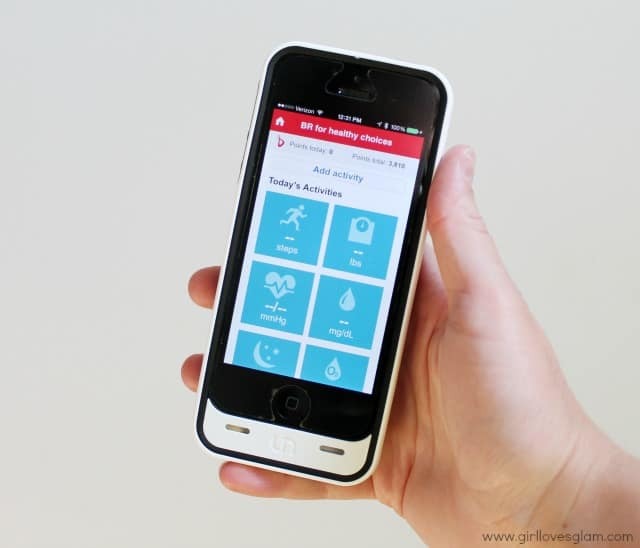 It connects with the Walgreens Balance Rewards and gives you Balance Rewards points when you put in how many steps you walked, how far you ride your bike, and if you weigh yourself and track your weight on the app. They are literally things I was doing already and I am being rewarded for them now! 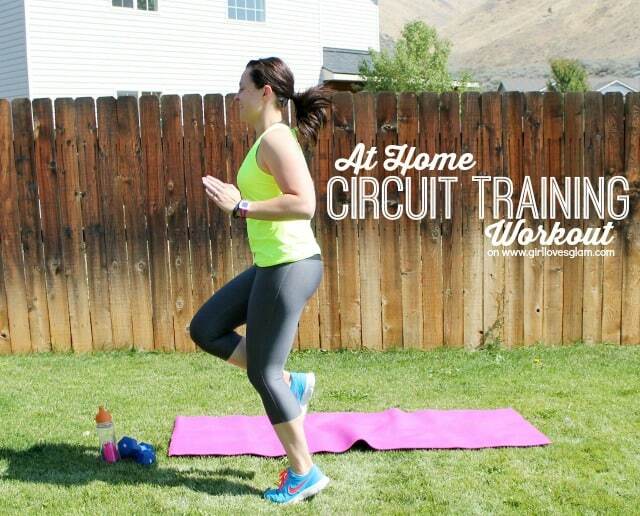 Since there isn’t a gym here, I have learned to really love riding my bike for exercise with my husband, going for jogs, and doing circuit training workouts at home. Free printed photos from your phone! 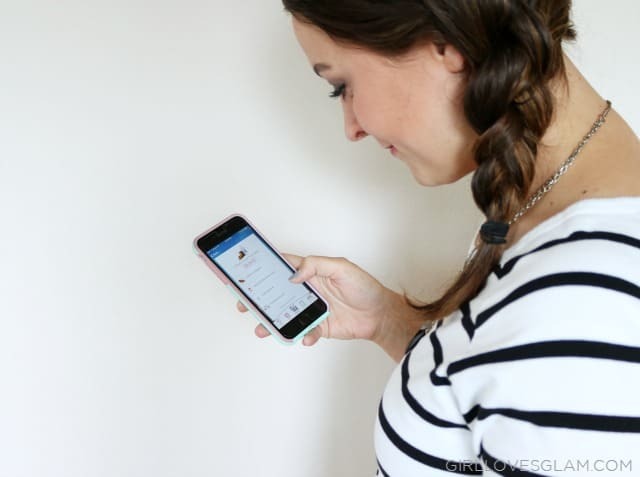 I’m so excited to tell you about this awesome app I was just able to try out! It is called Free Prints. It is an app that is available in the App Store, Android Market, Google Play, and Windows Store. There is no excuse not to try it because it is available for nearly every phone on the market. You can also find it on www.FreePrintsApp.com. The cool part about it, is that you can get 85 free 4×6 photos a month! You can access your photos straight from your phone so it makes it quick and easy. You just pay shipping, but that isn’t much at all. They also offer different sizes too if you are willing to pay a little for them. they started printing square images too that are perfect for Instagram photos. I am really impressed with the quality of color and how nice the free prints are that I got! 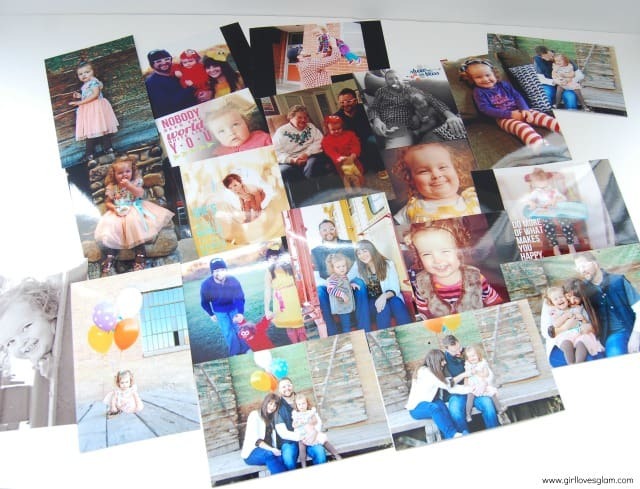 Free Prints is owned by a company called Photo Affections who sells custom photo products too. Each time you order prints from Free Prints, your photos are automatically uploaded onto your Photo Affections account so it is easy to make various photo products on their site too! 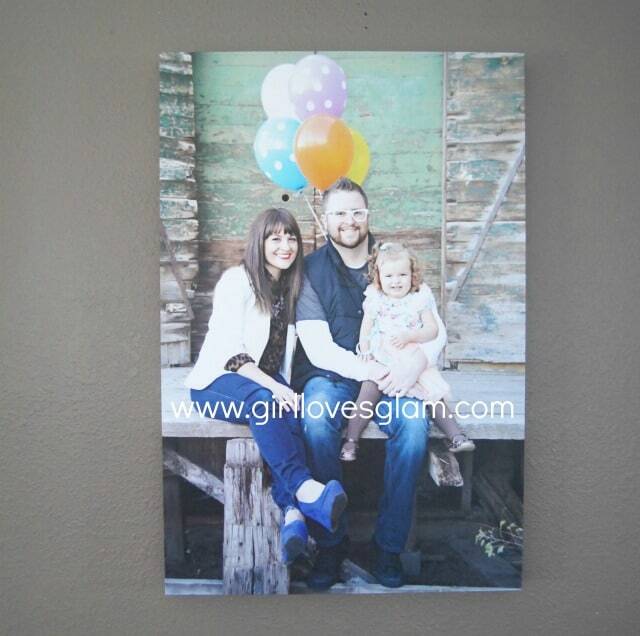 I chose to have one of our new family photos printed onto a canvas done by Photo Affections. Isn’t it gorgeous?! I wish you could see the finish on the photo a little better, but it is beautiful! It almost has a pearly finish to it so it looks so professional and SO great! I highly recommend ordering from them! I love that I can get pictures printed for free now! I was given these products to review for this post, but was not otherwise compensated. All thoughts and opinions are 100% my own.